PDC is serving as the design prime for this renovation project. 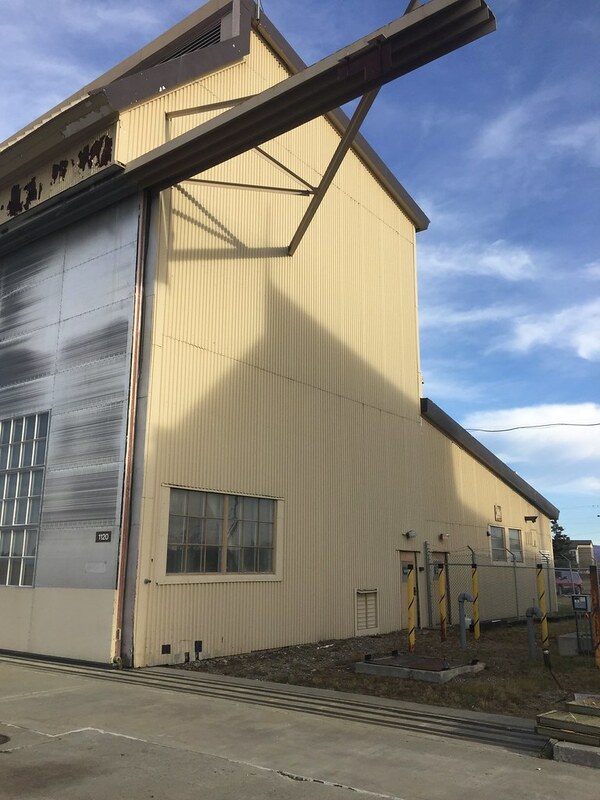 We are providing Civil, Structural, Mechanical, Electrical, Fire Protection, and Survey services for the investigation and renovation of the existing Nose Dock 1 Facility on Eielson Air Force Base. This historical building was constructed shortly after World War II and is in need of an economical renovation to provide comfortable working conditions for office and maintenance staff for years to come. The investigation phase is complete providing guidance to the Government on code required upgrades as well as sustainability upgrades and renovations for increased functionality. 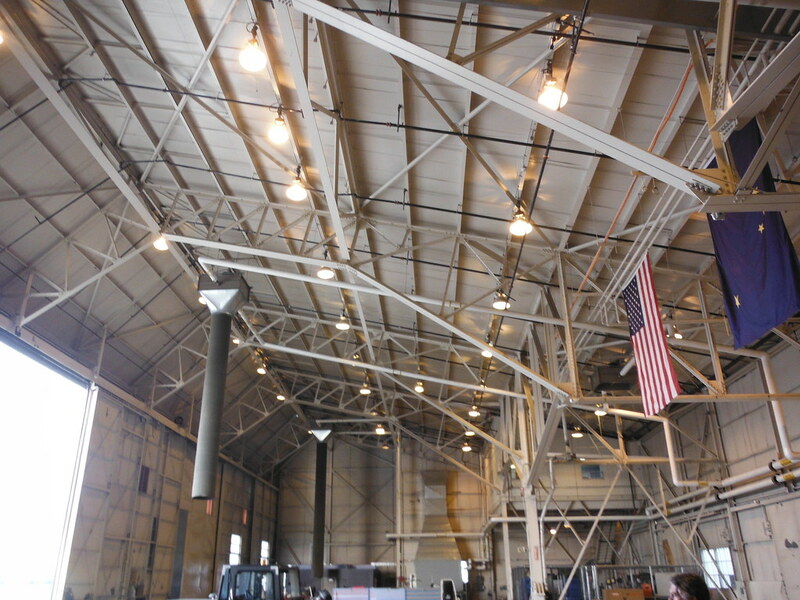 Structural upgrades include increasing the roof snow load capacity and increasing resistance for seismic activity. The fire protection investigation focused on life safety upgrade requirements to protect military personnel and assets while creatively utilizing the existing systems. Utilization of existing systems is an environmental and budget conscious course of design. The civil engineering and survey tasks are limited to localized site design such as replacing and adding entrance aprons for the hangar and personnel doors. The mechanical and electrical upgrades will support architectural objectives as well as increasing the functionality and safety in both the office spaces and the hangar spaces. Air stratification and lighting issues will be mitigated with these upgrades. As the prime on the project, PDC has determined the major objectives of the base leadership as well as the facility user group. The architectural and engineering design packages will be tailored to focus on design priorities early on in the design process to receive early confirmation of the design objectives. This allows for maximized design time on the details of the design which minimizes questions and changes during construction keeping construction costs and schedules optimized.